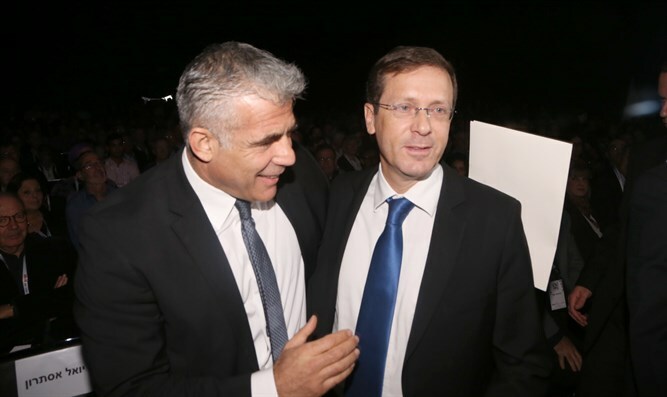 Over last weekend Israel’s most implacable enemies were handed a major bonanza, courtesy of the nominal head of the Opposition in Israel, Isaac Herzog. Speaking at a cultural event in Holon on Saturday, Herzog effectively lent credence to the most libelous vilification of the Jewish state’s detractors, affirming their malicious and mendacious portrayal of it as a fascist entity. Thus, in a stroke, Herzog’s injudicious display of partisan political pique, inflicted inestimable damage on his country, undoing years of laborious efforts of pro-Israel advocates to present the Jewish state as a lone and valiant defender of democracy in a regional sea of tyrannical darkness. It is through its dominance of these small, but disproportionately powerful, unelected elites—chiefly in the legal establishment, the mainstream media and the academe (particularly in the social sciences and the humanities)—that the Israeli “Left” manages to maintain much of its control over political processes within the country, despite the continual erosion of its electoral appeal. Accordingly, as it is unable to exercise influence by popular support, it is compelled to do so via small, electorally insignificant, but substantially influential groups, which in effect are the last remnants of Left-wing political relevance. It is, therefore, in no way unexpected to find that any attempt—no matter how sound its rationale and equitable its intent—to limit, indeed, even regulate, the inordinate powers of these groups will invariably elicit a visceral response, designed to discredit, delegitimize and demonize such a measure. Of course, nothing serves this egregious purpose better than the tactic of dubbing such initiatives as “fascist”—even when they are patently nothing of the sort, and in many cases, are precisely the opposite. This, then, is the reason why this derogatory epithet has become the perennial, almost Pavlovian slur, invoked whenever the electorally frustrated Left senses that the powers of what in effect are its political agents, are to be curtailed—or even scrutinized—in the public debate. Against this backdrop, it is hardly surprising to encounter signs of frantic Left-wing alarm whenever the prospect of a new initiative, aimed at changing either the prevailing administrative or allocative criteria in the cultural, legal, media, and/or academic establishment is raised. Of course, such initiatives can only be dubbed partisan because they address—indeed, are intended to redress—situations which are, apriori, heavily skewed towards Left wing dominance. -Introduce greater plurality in the range of political philosophies students are exposed to in academia. As head of the Opposition, Herzog has shown particular alacrity in casting aspersions on his country’s democratic credentials, especially when the pesky demos (people) has chosen—in free and fair elections—to confer the kratos (power) on his political rivals. Sadly, Herzog’s derogatory outburst last week was not the first time he invoked the “F” word for political purposes. Thus, when the elected government of Israel introduced a bill to promote greater transparency regarding the funding of Israeli NGOs, who receive the bulk of their financial support from foreign governments, this was greeted by howls of protest by Left-leaning circles, alleging that, somehow, enhanced transparency undermines democracy. Go figure! Herzog took a leading role in the outcry against greater transparency. Thus “The Guardian” reported: “…the strongest condemnation came from the Israeli opposition leader, Isaac Herzog, who told reporters before the vote: ‘The NGO law … is indicative, more than anything, of the budding fascism creeping into Israeli society’ ”—as if the future of Israeli democracy depended on unrestricted surreptitious funding of what are in effect foreign agents. Indeed, quite the opposite is the case. The funding these entities receive from alien sovereign governments off-sets their minuscule public support in Israel. It provides them with the resources to enhance their domestic impact far beyond their true proportions – by means of well-publicized legal action and high-profile public relations initiatives in promoting an agenda which their foreign backers endorse. This of course is a grave distortion of Israel’s democratic process. For, it allows foreign governments, by means of their taxpayers’ money and domestic Israeli entities, not only to stymie the policies the government was elected to implement, but at times, to compel it to implement measures it was elected to prevent. To make the point: One can only image the furor that would erupt if the Israeli government poured millions in to Spanish NGOs calling for Basque separatism, utilizing Spanish courts and Spanish media to advance the Basque separatists cause. And who would accuse Spain of “fascism” if it took umbrage at such activity, and instituted legislation to curtail it? Herzog was once again eager to employ the “fascist” smear against the Education Minister Bennett’s academic “code of conduct”, formulated by highly reputable philosopher and Israel Prize laureate, Prof. Asher Kasher—who hardly fits the role of some radical Right-wing extremist. This, of course, is a deliberately malicious misrepresentation of the matter. After all, “the code of conduct” was a response to the inhibition/intimidation many students feel when expressing opinions that diverge from those expounded by their radical Left-wing lecturers, and to the narrow range of political philosophies they are exposed to in the classroom. Although, elsewhere, I have expressed skepticism as to the efficacy of Bennett’s initiative, to brand it as “muzzling” academics is patently absurd—since it would not impinge on research, publications, presentations at conferences or extra-mural public activities. Moreover, rather than to restrict debate, its purpose is to widen it, by addressing the virtual stranglehold the Left has on academic discourse—particularly in the social sciences and humanities. Should anyone doubt the existence of such exclusive Left-wing dominance, I would challenge anyone to identify a single senior tenured academic (and certainly any junior academic seeking tenure) in any major academic establishment, who overtly challenged the Oslo “peace process”, warned of the death and destruction it would wreak on Jew and Arab alike, and urged the Israeli government, publically and persistently, to abandon the perilous path it had embarked upon. Perfidy as the hallmark of liberal democracy? A similar brouhaha erupted with the introduction of the rather injudiciously named “Loyalty in Culture” bill, by controversial Culture Minister Miri Regev, evoking the usually dire warnings of encroaching “fascism”. - dishonor/deface the Israeli flag or state symbols. So, in effect, all the bill really did was transfer the existing authority from the Finance Ministry, where such sanctions were not robustly enforced, to the Ministry of Culture, where they may well be. Moreover, the bill did not mandate any restriction on the freedom of expression. Accordingly, should any cultural institution feel the need to conduct cultural activity that incites racism or violence, or supports armed conflict or terrorism against Israel, it is free to do so. It should not, however, expect the state to subsidize subversion, or to fund its own demise. However, judging from the Left-leaning opposition’s verbal assault on the bill, it would appear that many of them think it should. Indeed, the vehement denigration of the term “loyalty” might easily lead us to believe that, in the eyes of the Left, a license for perfidy is the hallmark of their vision of fascist-free liberal democracy. It is difficult to overstate the damage that domestic denigration of Israel’s democratic credentials inflicts on the country. After all, one of the gravest strategic challenges Israel faces today is the international campaign to delegitimize and isolate it in the global community, and to cut it off from its sources of support by portraying it as unworthy of such support. Accordingly, Israel’s most inimical foes seize eagerly on these unfounded characterizations of the country, in their unceasing endeavor to discredit, delegitimize and demonize it. 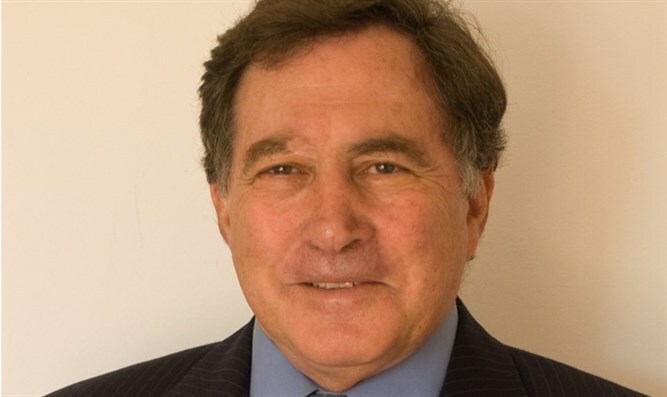 Thus, for example, the Iranian site ParsToday regularly pounces on Herzog’s derogatory diatribes, prominently parading them, in various languages, as allegedly representing the realities in Israel. Under a strident headline, in its Spanish edition, portraying Israel as fatally fractured society, it announced “Herzog: Israel is on the verge of a civil war” quoting the head of the Opposition’s assessment of the “transparency law” as “symboliz[ing] the fascism that is flourishing in Israeli society." Gee, I wonder what the English word is to describe someone who systematically undermines his country’s strategic interests. Of course, the very fact that the Left-wing opposition can continuously castigate the current coalition with impunity without any real fear of retribution is, in itself, arguably the most resounding repudiation of the repeated accusations of “fascism”.After all, what self-respecting fascist regime would tolerate such recalcitrant behavior? Indeed, its perpetrators would have long been dispatched, post haste, to either prison---or the hereafter. Surely the time has come for the Left-wing opposition to realize that their reckless rhetoric inflicts tremendous and unwarranted harm on their country; surely the time has come for them to desist from this egregious tactic for electoral advantage—especially as it has proven so hopelessly ineffectual. In this regard, perhaps the Left would do well to recall that is has always prided itself on its acceptance of the “The Other”. So in its quest for greater success in the democratic process, perhaps it is time for the representatives of the Israeli Left to come to terms with the existence of “The Other” and reconcile itself with the idea that people who think differently to them are just as legitimate as those who look different to them.